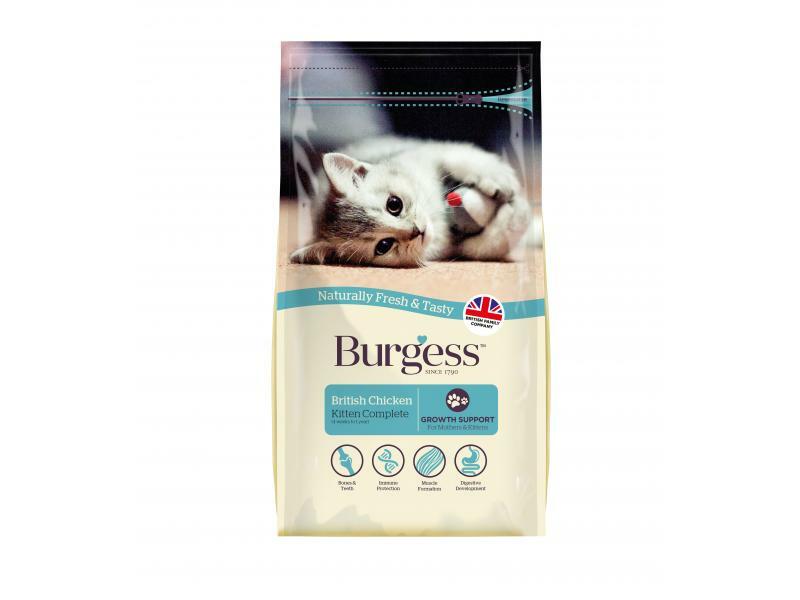 Burgess Chicken Kitten Food is a delicious complete chicken flavoured dry food. This quality food is specially formulated to help nurture all kittens and growing cats. Supacat Kitten is also ideal for providing extra nutrients to pregnant cats in the last 3-4 weeks of pregnancy and whilst nursing. It also makes weaning easier as the kittens will naturally start to try their mother’s food. It is rich in tasty chicken and is full of good quality protein. Fortified with calcium for your kitten’s growing bones and teeth. Chicken Meal (min 34%), Maize, Wheat, Rice, Maize Gluten, Poultry Fat, Fish, Chicken Liver Digest, Beet Pulp, Soya, Egg, Yeast, Potassium Chloride (0.45%), Fructo-oligosaccharides (0.4%), Minerals. The table below can be used as a guide to the daily requirements for kittens, pregnant and nursing cats. Individual needs vary and feeding should be adjusted as appropriate to maintain your cats optimum weight and condition. Fresh drinking water should be available at all times. There are currently no questions for Burgess Chicken Kitten Food - be the first to ask one!